Here are some considerations on the specific energy production of nuclear and hydroelectric power plants (MWh produced per MW installed). The data are based on IEA publications comprising the top producers within each sector (2010 data). The figures for nuclear vary between 6 and 8 GWh per MW installed capacity. Fig. 2 shows the situation for hydroelectric plants. Again, the figures refer to the top producers in the world. 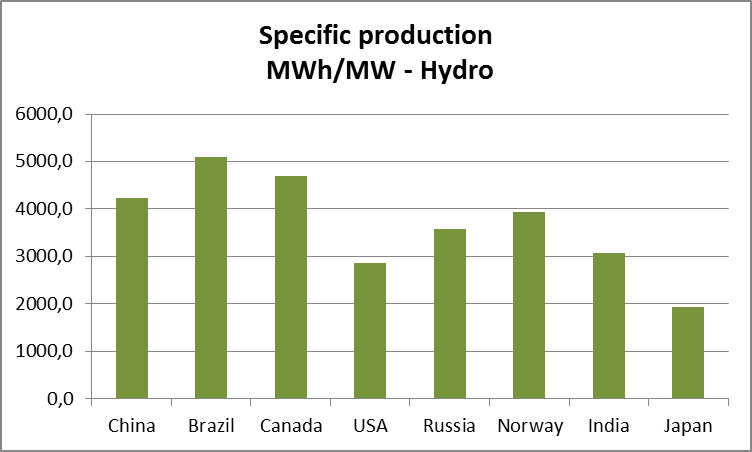 The variations in specific output are much more pronounced for hydro than for nuclear. This variability may be due to varying water levels which tend to have a strong impact on production levels. 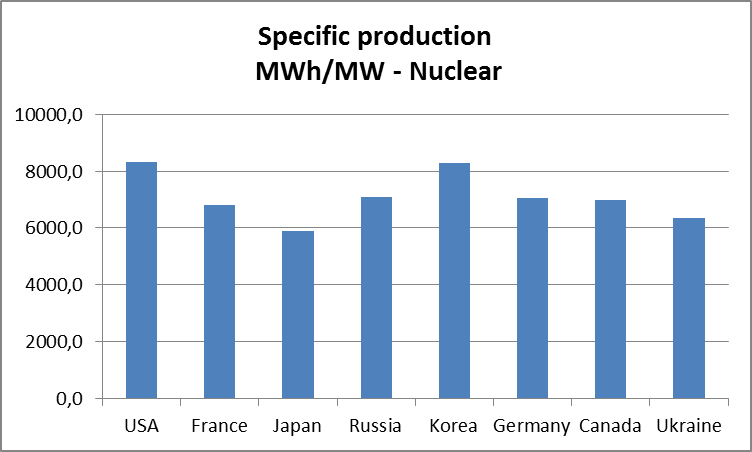 In absolute numbers nuclear is the clear winner, outperforming even the top hydro producer Brazil.